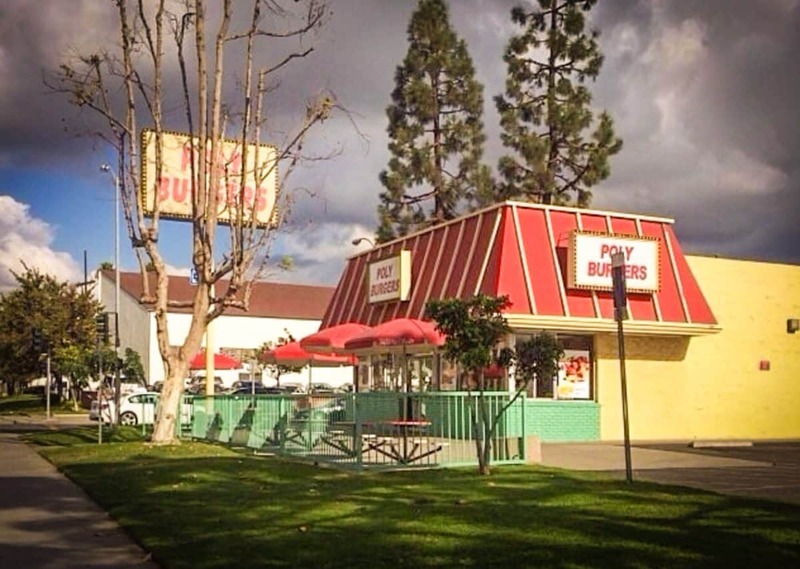 Poly Burger, located in Central Long Beach, is a staple to the Poly High community. Courtesy of Yelp!/Christian C.
When Yukon Oh originally took over the lease at 1460 Atlantic Ave., it was named Tomy Burger—and little did he know that the swarm of students coming from the nearby Poly High School would influence a change of name and become one of the essential burger hangouts in Central Long Beach: Poly Burgers. His offerings of cheap chili cheese fries, burgers, and veggie bowls have appealed to Poly students and strolling folks in the neighborhood for decades, with the popular phrase goes that if you’re Jackrabbit, you go to Poly Burgers. The same goes for La Lune, the Cambodian joint just south of Poly Burgers. Or Babette’s Bakery. Or the 24-7 doughnut shop at the northwest corner of Anaheim and Atlantic. These spots aren’t just part of Central Long Beach; they’re essential cogs in the Monday-through-Friday lives of Poly Students. Which is why Oh and other business owners are deeply concerned: Much like the owners of KH Market received notice two weeks before the Dec. 6 Planning Commission that their building is to be potentially demolished, these business owners—along with the large Smart & Final on the same block—heard not a word from their landlord and instead received notice shortly after Nov. 20 that their buildings’ potential demolition was to be the focal point of discussion at this week’s Planning Commission meeting. Headed by the same architect who is overseeing the potential development in Cambodia Town, the new development is dubbed “Poly Plaza.” It will include two spaces for drive-thru businesses, new construction for outdoor patio dining, a multi-tenant building, among other changes. The proposal would decrease the commercial square footage, add landscaping and increase space for vehicular activity (like that in Cambodia Town). Like Bondara Pang of KH Supermarket, Oh and his fellow business neighbors will search for possible agreements in their leases that the demolition would violate, but the fear of displacement is at the forefront of Oh’s concerns. The Planning Commission is set to take place at 5 p.m. on Thursday, Dec. 6, at the Council Chambers in City Hall, located at 333 W. Ocean Blvd. Editor’s note: This article originally stated Oh bought the Poly Burger building; he took over the lease from its former tenant. This has been corrected.